Jay Sae Jung Oh explores the diverse realm of design as a furniture designer, a product designer, an artist, and an entrepreneur. This lecture is about her adventures in different design fields, her work and the journey it took to get her to this point. Jay explores the intersection of art and design with a collection of one-of-a-kind furnishings, represented by the esteemed Salon 94 in New York City, as well as running her high-end pet product brand, Boo Oh as an entrepreneur. Her designs have been displayed at numerous exhibitions and galleries, including Design Miami and ICFF, Chicago Cultural Center and featured on the pages of Architectural Digest, Elle Decor, Fast Company to name a few as well as earning a permanent space at the Carnegie Museum of Art, Cranbrook Art Museum collection and Calder foundation. Jay has worked alongside NYC-based, Italian designer, Gaetano Pesce on a multitude of projects from furniture, installations, and product design. 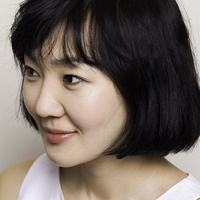 She served as a visiting professor for The University of Illinois at Chicago teaching Industrial Design within the school’s undergraduate and master’s programs.She holds a bachelor’s degree and a master’s degree in Sculpture from Kookmin University, South Korea and a master’s degree in 3D Design from Cranbrook Academy of Art in Michigan. This lecture is co-sponsored by the Department of Product Design and the Art + Design Academic Residential Community (ARC).